By now, most homeowners in Minneapolis St. Paul are aware of the need for regular cleaning of their heating and air conditioning equipment, as well as air ducts. Commercials on TV and radio run almost constantly, telling you about the risks of dust, mold, and bacteria in your air ducts. Those ads are right: these indoor pollutants and contaminants circulating in your home can make allergies flare up in your family, as well as reduced efficiency of your heating and air conditioning system. Not all Twin Cities duct cleaners are the same, though. Before hiring a contractor for this important job, there are some things you need to know. Some companies offering these services are just doing it as a side job to other services they offer and trying to fill in times when they’re not cleaning your carpets or installing new windows or siding. To get this job done properly, you need a duct cleaner dedicated to that job. You need expert technicians with the training and equipment to complete the job quickly, economically, and properly. Money-saving discounts for the BEST duct cleaning services. Some Minnesota duct cleaners just blow air down your ducts and vacuum up whatever comes out and call that a complete service. It isn’t that simple. The accumulated debris inside your HVAC system is often firmly attached to the walls of the ductwork and can’t be removed so easily. Proper cleaning requires an assessment of the condition of the ducts, then selecting the best method to remove the accumulation of dirt and dust. 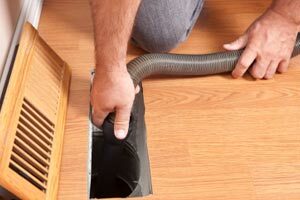 A proper technique should include a powerful, van-mounted vacuum system and high-pressure air to sweep the ducts and remove all debris completely from your home. In some cases, special pneumatic rotary brushes are needed to scrape off the accumulated debris, dirt and dust. Sloppy work can actually loosen the debris without removing it, leaving it to circulate throughout your home after the contractor is long gone. Visit the company’s web site. Does it explain the various types of cleaning services offered? Learn about the company’s equipment, experience, and training. Check with your local Better Business Bureau for unresolved complaints and for the overall rating of the company. Check to see whether the Twin Cities duct cleaning company is a member in good standing of the National Air Duct Cleaners Association (NADCA). Educate yourself about a company before hiring them. Don’t rely just on television and radio ads or coupons in the mail to choose the company. In most cases, it costs no more to hire a fully-qualified contractor that will do the job right and leave your ductwork clean as a whistle. We’ve been serving Twin Cities customers for over 25 years. Our technicians are highly trained and we offer a complete range of HVAC services, so we can handle any job from residential to commercial cleaning. With our extended service area in the Twin Cites, you can count on us to provide the most reliable services no matter where you live, from Andover, Ham Lake, Ramsey and Hugo to Prior Lake, Chanhassen, Shakopee and Chaska, and from Afton, Mendota Heights, Rosemount and Oakdale. Our powerful van-mounted vacuum systems take all the debris completely out of your home or building. 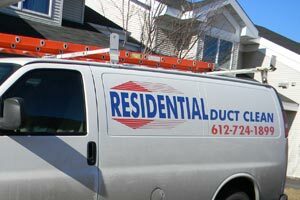 We have the reputation for providing the best duct cleaning service in the Twin Cities area. Call us today to take advantage of our expert services. You won’t be disappointed.